There was a time everyone was talking about Facebook. Then came Instagram that became instantly popular among the people and changed the way we used to share photos and video. Now it looks that this is the time for TikTok app. This app is quite new and has become instantly popular within a few months. We are going to talk about what TikTok actually is, is this really a social media app or something else, how it is different than other social media platforms, why it became so popular and if it is hacked, what you can do. TikTok is more like an interesting social media app that has attracted millions of people around the world. It differs itself from other social media sites and apps in a way that it allows users to create videos with lip synching and make interesting, weird as well as funny videos that are further shared. The app is free and this is probably one of the reasons why it went viral instantly. It is an Interesting Social Media App Extremely Popular among Teens. The app was developed and launched by Chinese entrepreneurs Alex Zhu and Luyu Yang in 2014. It was identical to the Musicly.ly app but has turned into something better than a music app for the people. In 2017, ByteDance, the Beijing-based tech company, acquired TikTok and they also merged the music app with it in 2018. So all the users from both platforms were now using one app with features from both. When both the apps were merged, the team behind TikTok planned an attractive marketing campaign to make the app public by targeting celebrities. Many celebrities joined the app and shared their videos from TikTok to other social media sites. Seeing this, the marketing worked and the app got millions of active users in a very short time. Now, you will see every child and teen using this app. You know how Facebook, Instagram, SnapChat and other social sites and apps work. These platforms allow users to connect with people and friends from anywhere. You can share photos, create images using filters and different features, even go live and do other stuff. However, what they don’t do is allow users to create music videos. TikTok Allows Users to Create Funny, Entertaining and Weird Video. This is what TikTok is doing and why it hit millions of users so instantly. On this app, you can create your video by choosing images. The video is further developed with music. The files or music is available in the TikTok library where you can choose from. You can also create your own music and sounds. With videos, and using music- the content becomes extremely attractive. The lip syncing feature makes your videos more interesting for the people. Just like newsfeed of any other social media platform, you will see thousands of TikTok videos in the newsfeed from teenagers, kids, celebrities and they are actually pretty good. The videos created are what users have been looking for. SnapChat did the same thing but it was not so great. TikTok has been successful in merging the music with video content to keep people engaged. When it comes to the features and designs, TikTok is way different than most of the social media apps. But what is common among all is they can be hacked. This will be shocking for the users to learn their TikTok accounts might get hacked. That is true and you can do nothing about it. You might have learned about Telegram and how the app was hacked. 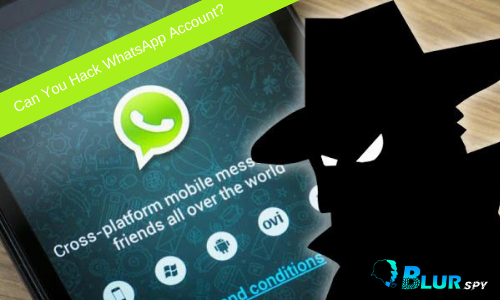 Facebook, Yahoo, and many other Messengers were hacked in the recent past. And TikTok is no exception to this. No one wishes their accounts to be hacked anywhere. But the fact is we cannot avert this. What to talk to social media and TikTok, hackers can even hack the human brain with brain-jacking. So parents need to be serious about the safety of their children and take appropriate steps to prevent this. When TikTok is hacked, all the user data, information, videos, messages as well as photos will be accessible by the hackers. What Parents Should Do Now? All the parents get their kids and teen’s smartphones and tablets. When they do so, they are providing them with the stuff of destruction. Smartphones and the internet are not safe for teens at all. Parents have to be careful in this regard. Here are a few things to do. First, kids and teens should be provided for guidance. Parents should educate kids regarding how unsafe social media and TikTok is. When they share so many things, they can be hacked for many reasons. The hackers will get your data and can misuse it for different purposes. This will make you vulnerable to threats and can risk your life. The other way is to control the use of social media and particularly TikTok. 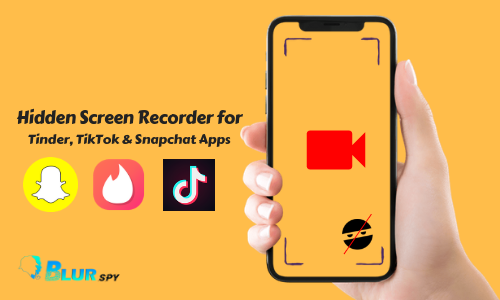 Parents should use a Blur app, a perfect parental control app, to check the TikTok screen recording, keep eyes on their social media and internet use and prevent them from sharing private stuff on these apps and sites. TikTok is the new social media app that has become instantly viral by growing its users to millions. The app can be hacked and this will make teens and kids vulnerable to any threats. Parents should use the best parental monitoring app to check the social media activities of their kids.